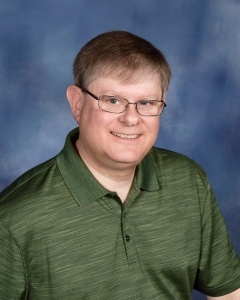 Ordained a Deacon of the Diocese of Green Bay in 2000, Rick has served the Church in parishes in Greenville and Newton in Wisconsin, and in Richmond and Colonial Heights in Virginia before coming to Eagle River. He was hired to construct and direct the ministry formation program for the Diocese of Richmond, which he did from 2007 to 2010. Married to his wife Kathy since 1978, they have 2 children and 2 grandchildren. Rick enjoys photography, cooking, and fancies himself a wine expert. He hails from Milwaukee but grew up in rural northern Illinois, spending time in formation with the Redemptorists in Edgerton, Waterford, and Oconomowoc before moving to law enforcement where he was a deputy sheriff. Rick also worked for the Xerox Corporation out of Oakbrook, Illinois and directed the Quality Management program at Fox Valley Technical College in Appleton, Wisconsin.